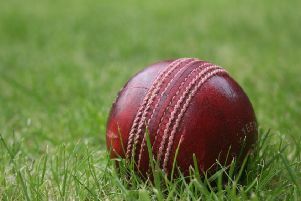 Egerton Park Second XI travelled to Houghton and Thurnby for their final County League match of the season on Saturday with nothing to play for. But Stuart Rose made it a memorable day with a breathtaking 150 not out featuring 12 sixes and 11 fours in an outstanding innings. Batting first in the Division Seven East match, Park lost early wickets before Tyler (28) and Creed (26) steadied the ship. Simons made a solid 39 before Rose took centre stage as sixes flew over the boundary and road with the only danger of him stopping was by running out of cricket balls. When skipper Mold declared on 277-7 off only 28 overs, Rose walked off with a career-high 150 not out. Lovegrove and Anderson both struck early, leaving Houghton 5-3, but a solid 41 not out from Sarna moved the score along. Simons and Tyler struck and looked like seeing Park to victory, but a thunderstorm put paid to that as the game ended in a winning draw for the Park who finished the season in seventh. Park: Bates 6, Tyler 28, Mold 4, Dover-Jaques 1, Jeary 0, Creed 26, Simons 39, Rose 150*, Extras 23. Total: 277-7. * Park First XI’s season ended in a damp squib as their home match with Ibstock was rained off after only 24 overs. In the play that was possible, Park won the toss and put Ibstock in, reducing the visitors to 94-5. The eight-point haul saw Charlie Madden’s side to a creditable fifth-place finish in Division Two.